YouChoose is a tool to help special needs students reach their individual education milestones. 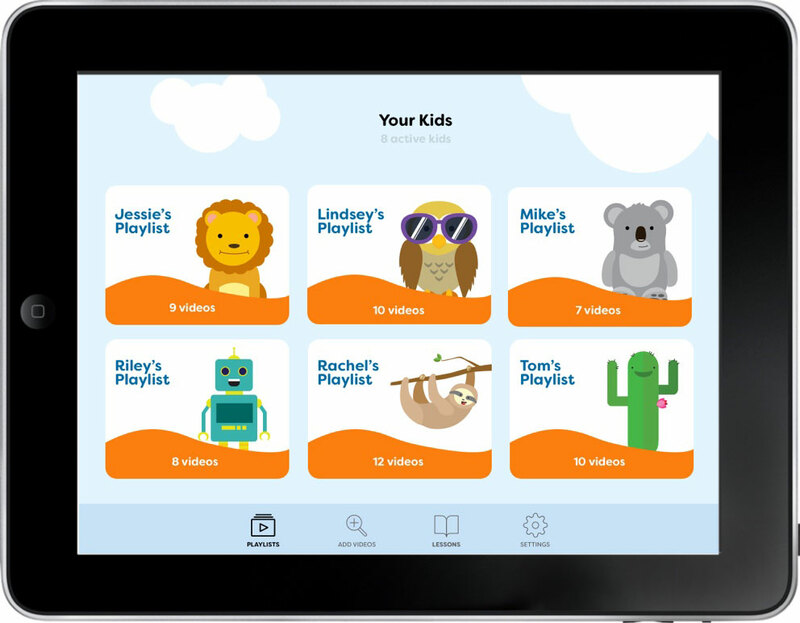 It lets a teacher or caretaker create custom video playlists, which students can unlock by completing quick cognitive or physical therapy activities. Special needs education is built around IEP's (Independent Education Plans), where the student moves towards goal-based milestones rather than a pre-set curriculum. It's flexible and effective, but requires a huge amount of time and work from the teachers and caretakers. Improve the student, caretaker, and teacher experience with the IEP system. I began this project by reaching out to a special needs care facility named Via West. They agreed to partner with me and invited me to stay on site for a three day session. Being in the field for 72 consecutive hour was a rare opportunity. I got the chance to learn a lot about the people there by spending time with them across a wide range of contexts. I was able to recruit 17 participants to work with during my stay on site, 11 adults and 6 students. With the adults, I conducted interviews, contextual inquiries, and ethnographic research. But I found that those methods weren't working with the students, so I had my first pivot point in the project. I came up with a modified participatory design workshop with a set of curated games and cultural probe activities. This helped the students express themselves more naturally and gave me some great insight into their goals and needs. Because I had collected so much data from my time in the field, I needed to process it in a way that was thorough, yet efficient. I decided to conduct a set of synthesis exercises recommended for this type of work by the Kaiser Permanente Innovation Design team. Students will fixate on certain songs/videos and play them with high frequency. There are certain therapies that are common focuses: dexterity, physical therapy, cognitive, visual, and social. Tying lessons to rewards is crucial, and the more closely you can tie them in time and association, the better. I wasn’t working with a team, so it was even more important to create a set of personas to guide my design decisions throughout the project. I would be able to refer back to them to make sure that all of my choices were grounded in empathy and focused on the user's needs and goals. I created a journey map for each persona to visualize their experiences with the current IEP system. Special needs education has some high stress situations, so these maps were really useful in identifying pain points in the system and which opportunity areas could be approached. Now that I had gathered a wide set of information about the stakeholders and the ecosystem they occupied, I was prepared to shift into analysis mode. I developed a set of overall themes and related How Might We questions. HMW leverage student fixation on songs and videos to motivate them? HMW help students stay focused on their lessons? HMW tie lessons and rewards more closely together for students? I worked a couple cycles of brainstorming and refinement until I settled on an idea that met all of my HMW's. A VIDEO PLAYER APP WITH INTEGRATED IEP LESSONS. Teachers and parents are already using videos and songs for behavior management and to reward good work. Let's use this practice as an intervention point. Any time a student wants to watch their favorite video, they'll have to unlock it by performing a quick cognitive or physical therapy task. Tracing letters, solving a simple puzzle, etc. The type and difficulty of the tasks can be altered by the teacher or caretaker to meet the student's IEPs. It would allow for frequent and consistent practice in areas the student needs to develop. I had figured out what to design, so I checked out other solutions available in the space. This comparison provided insight into what features were already available and what strengths and weaknesses each solution provided. I used the personas, experience map, and comparative analysis grid to come up with a set of features that would meet my user's needs. I sorted them on a 3X3 grid to find out which should be prioritized and which could be dismissed. After deciding which features the app would include, I built a conceptual map for each user persona. These maps helped me organize tasks flows and the app's eventual information architecture. With the groundwork set, I built a rough prototype, or pretotype. Using 3X5 cards allowed me to make small bets and rapidly iterate on the design. Throughout the process, the user flows sketches helped me to determine the UI elements I'd need for higher fidelity prototypes. Before I launched into higher fidelity versions of the design, I set up a style guide to account for the accessibility requirements of my users. For example, a high percentage of the population I was designing for have visual impairments, especially in regards to color blindness. So I found a color palette on accessibility.org that was specially designed to be distinguishable by all types of color blindness. I wanted to test a few key user flows, so I built a digital prototype in Sketch and Principle. It provided a good balance between rapid development and higher quality interactions for the user. I brought the interactive prototype back to Via West and tested it with a new set of teachers, caretakers, and students. The most important thing I observed from the session was how the app was being activated. I assumed that once it was initially set up, the student would be the one to open and use it. What actually happened was the caretaker would always be the first to come in contact with the app, even on repeat uses. I needed to shift the app's architecture to account for this key interaction. The app should open on the admin page instead of the student's page. The caretaker or teacher will always interact with the app before passing it to the student. The app needs to open on the admin flow rather than the student's. The user testing led to some significant changes in the final design. The admin flow became the home page, where the teacher or caregiver could select the playlist for the specific student they're working with. I also changed the visual feel to be more friendly and playful, but not childish. Overall, I reached the goal I set out to accomplish in the scope of this project: build the content and architecture needed to handoff the product to a development team for next steps. The admin page became the only section with the navigation bar. It allows for simple access to capabilities like adding videos to playlists, or customizing which lessons a student would need to perform to unlock a video. The unlock tasks are set as pop up windows with darkened background to reduce distraction for the student. This project gave me the rare opportunity to change designing for accessibility from an abstract concept to something I could see the impact of first-hand. I got to see how each of my design decisions affected the students I was working with. How a minor change in color or font could be the difference they needed to learn a crucial concept in class. The importance of those requirements is something I'll carry into future projects. If I had additional time for next steps, I would love to research and design the full set of unlocking tasks. It would be a great opportunity to learn more about physical and cognitive therapy methods.